Sasa Pueblo has his healing abilities since birth. His grandmother was herbalist and healer. He has taken over and developed this tradition. He was lying in hospital for several months during childhood and his grandmother was taken him away from the hospital and healed him. Sasa Pueblo gradually developed different kinds of treatments and therapies. Sasa Pueblo has decided to treat not only himself and his loved ones but also people around the world. Thus, he is gradually developing distant healing and clairvoyance technique connected with such healing. He always tests and verifies the quality of diagnostics of health and psychology at distance. He also develops meditation techniques. 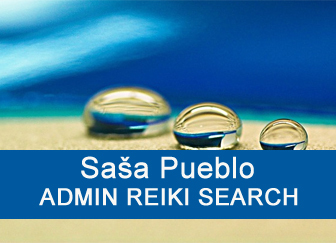 Sasa Pueblo has chosen Reiki system as the basis through which various healing practices can be implemented. 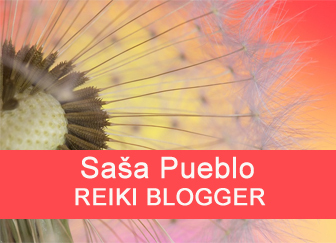 Sasa Pueblo is also devoted to development of artificial intelligence and brings inspiration from this field to Reiki platform. The goal is to develop intelligent Reiki which even works without the participation of Sasa Pueblo and which actually allows 24 hours of treatment. Sasa Pueblo only fine tunes this artificial intelligence of distant Reiki. Sasa Pueblo is remotely ready to treat various unhealthy conditions of the body and the soul. He always diagnoses the person being treated and determines the chances of curing or reduction the course of the disease. Sasa Pueblo also deals with the issue of longevity and how to set the body to longevity, so an extreme slowing of aging. It is about long-term care about people, family members and their friends on distance. Sasa Pueblo gives you an intensive treatment at the beginning. This treatment is about 10 distant interventions during two weeks. THESE INTERVENTIONS ARE FREE OF CHARGE. If you will feel better after this treatment then next treatmnets are for minimal fees, one Reiki treatment for 3 Euros. After each treatment you will receive information via email. BONUS: Sasa Pueblo offers FREE distant diagnostic where he recommends dietary supplements and medications when he finds ill areas. This is to treat the serious condition also classically. We communicate in English. Sasa Pueblo has spent 25 years devoted to serious research in the area of spirituality, esoterics, meditation and religious systems. He practiced almost all kinds of physical therapies like massage, acupressure, acupuncture, herbal medicine, ointments, homeopathic. He has collaborated with and cooperates with many healers and meditators. He has grouped around himself exceptional personalities who he most often healed from some serious illness or mental condition. They are now meditating together and looking for practical use of everything that brings health, longevity, intellect and something beyond limits of the life. He started practice distant Reiki since year 2014. He previously treated with Reiki in the presence of the person being treated. Sasa Pueblo has gradually learned techniques of pendulum and tarot cards. He does not need a photograph for divination just initials of the person. Sasa Pueblo is constantly educating and improving in the field of medicine. Although he extremely well knows classical folk healing, he seeks to use all medical knowledge. He has several meditating assistants who are constantly educating him. His aim is to know all medicine and whole area of healing. He also meditates and practices many spiritual systems such as yoga, taichi, chikung, feng shui, kabbalah, angel spheres and other areas. The knowledge is practiced in psychotherapies. WHAT IS THE PREPARATION FOR DISTANT TREATMENT? Sasa Pueblo is being prepared for the treatment in a special way. Most often he watches pictures of golden temples, golden angels, golden trees and animals. He sprays colloidal gold on his body. He often uses a platinum homeopathic. There are numbers of golden figures on his table and the most common golden Buddhas and angels. He is then trimmed using universal spiral fractals, automatic drawing that someone drew and published on the Internet. He also uses a variety of different types of images such as icons, monstrances, Pater Pio, shamballa, brazilian shamans, shamanic rituals, meteorites, chemical formulas. Then follows second phase of his preparation for treatment. 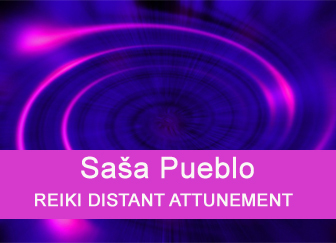 Sasa Pueblo does not treat on his own but also with other healers who received special attunement from Sasa. So they can use techniques of Reiki healing which are under TIANTAI REIKI. This Reiki is built on the base of the oldest traditions of Reiki in China and Japan. Together this group of Reiki healers dynamize system for healing, dynamically rotating energy emerge and distant therapy can start. This phase activates three levels of the treatment and so it is Tiantai Reiki in front line of the body, so classical chakra areas. Sasa finds initiated persons and the group of distant healers. Voluntary Reiki persons who like to heal on distance help him. Then he activates second level and this is animal level so chakra systems on the back. He finds initiated animals and activates energetic sources. Sasa Pueblo has consecrated many animals in his treatment. Especially those which were treated with Reiki by someone. Then he activates the third level and these are cells and energies of consecrated trees. These are groups of cells that work together as embryos. Even here, Sasha Pueblo consecrates a number of trees that are able to give their energy to human cells. There will be distance therapy itself at these three levels. WHAT HAPPENS DURING DISTANT HEALING? 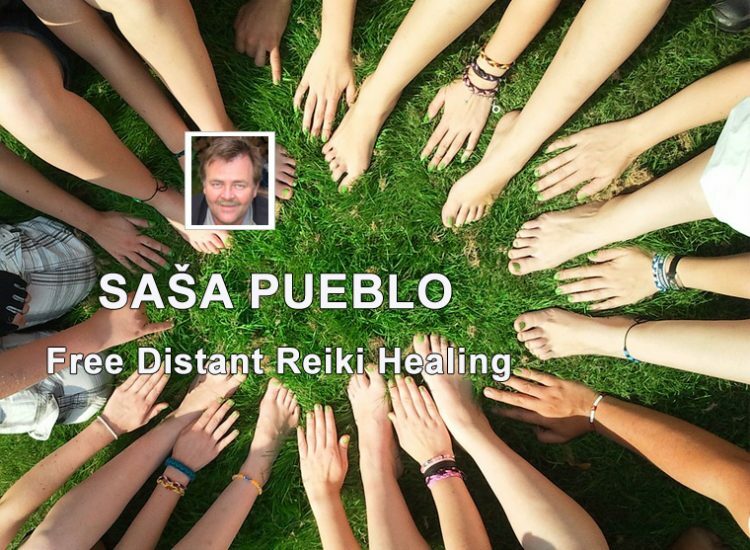 Sasa Pueblo heals around 30 – 40 people at once. Each person has card with the name, surname and diagnosis. He draws the figure of each treated person on the paper, he draws figures front view and side view and he writes dates of interventions. Sasa Pueblo finds out that such mass treatments are more powerful than single-person treatments. Next follows what is unique on Tiantai Reiki. In the past, spiritual people in Gobi desert gave Reiki something like intelligent behavior, so Sasa Pueblo can cultivate something like intelligent Reiki in Tiantai Reiki system, able to learn treatment itself. Many therapies work automatically and Sasa Pueblo only fine-tunes them. 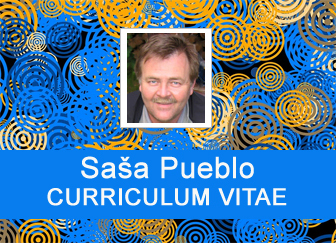 WHAT EVERYTHING WILL SASA PUEBLO HEAL? Sasa Pueblo activates the stabilization of entire system via hormonal glands in the person being treated. This is the system of survival in crisis situations where everything is exposed on parotid glands. They are found in ears, but also in whole body. This will act on your memories, your karma and your destiny so that your body starts to activate and heal from the inside. In the treatment, he applies the concentration of energy and its thickening. This is similar to the treatment of hot hands like in classic Reiki healing. He collects energy from human objects for you as if you were to find the real healer who would cure you. Thus, there is a fundamental difference to classical Reiki where the healer gives the energy directly. 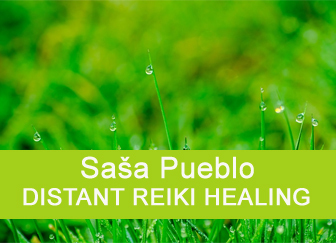 Sasa Pueblo collects energy with healing information and adjusts for you successful treatment. Next, Sasa Pueblo will treat you through his consecrated live animals in nature. He will exchange and mix human and animal energies. Next we will continue to philippine healers and to treatment through human and animal bones directly into your bones. For example, this will activate children placenta residue in your skin. During pregnancy, the embryo has the skin as the second placenta. Then classic Hawayo Takata treatment in navel area will continue. Around the navel there are number of embryonic developmental systems for cell control and activity. Then will continue the treatment where slowing the disease and blocking it is the basic. This is a classic treatment in energy healing. Sasa Pueblo provides many other small distant healings. There are many and they were took over from the best healers. Next follow the healing of brasilian shamans. It is called ayahuaska and such chemicals are produced on your tongue and start to heal you. Angel healing into your thymus glands continues and opens the ability heal and nourish your cells. Sasa Pueblo will destroy aging processes in your body. Iris healing will be also done and this is iris Reiki. Automatic drawing is used to heal the eye, brain and the body. Here will be also treatment of hidden healing potentials as prehistoric structures which contain many stem cells for body healing and creating new cells. Here will be also healing which directs to adipose cells, recovers digestion and better body nutrition. At the end it will be golden Reiki signs. I can not describe all procedures which are done during distant healing. This is often individual healing with the combination of selected steps. If you want to ask anything or to clarify, then please do not hesitate. Please fill in data in attached table. If you don´t want, do not write your whole name and surname, initials are enough and age. Also place where you live is alternative. Please keep the right state where you live. My seriousness is guaranteed.